Do you love to use stickers in your planner to help show off your creativity? Maybe you don't like to buy several sheets just to get one color or set of colors that works for your intended theme? This monochrome set is the perfect way to add functional stickers to your stash without having too many of any one color you don't use! 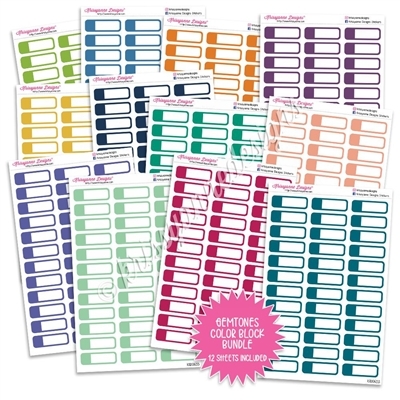 With this bundle, you will receive 12 monochromatic sticker sheets as pictured. 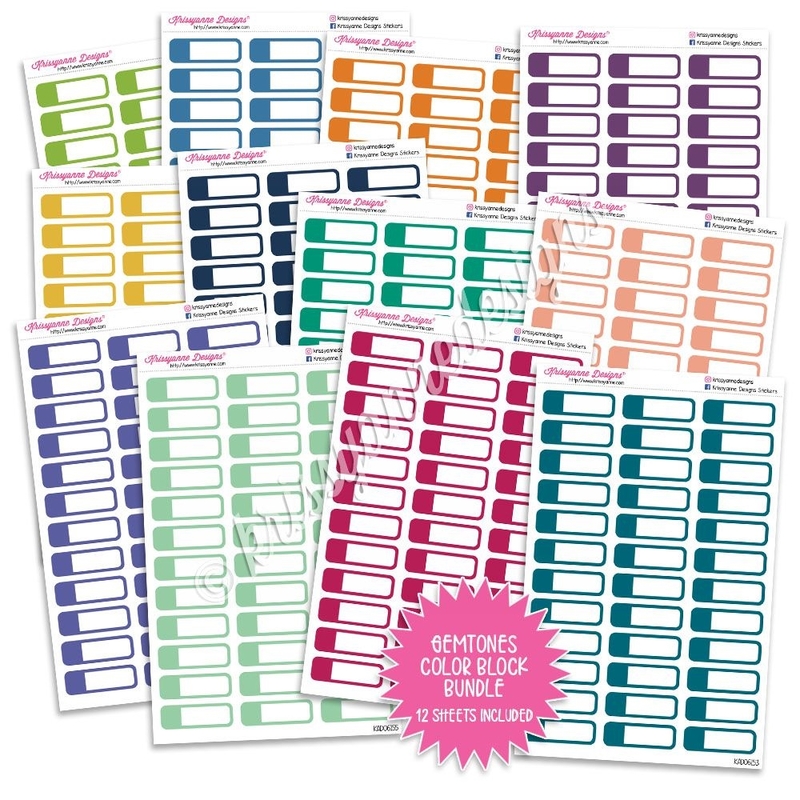 Each sheet has 36 stickers in a single color, giving you a wonderful variety of colors to add to your stash. Want to purchase only a few sheets? Be sure to check out our individual listings by clicking here. Please remember that colors may vary from monitor to monitor.